Mrs. Linda Lee Simpson O’Briant, age 71, of Burlington, passed away on Saturday, April 13, 2019 at Alamance Regional Medical Center after a brief illness. Born in Morgantown, WV, she was the daughter of the late Thomas Simpson and the late Adeline Irene Dombrowski Simpson and was married for over 52 years to William Eugene “Bill” O’Briant, who survives. She was a career homemaker and a longtime member of Haw River Seventh-Day Adventist Church. She was a active volunteer for the church, enjoyed playing “Bingo” and was an avid reader. 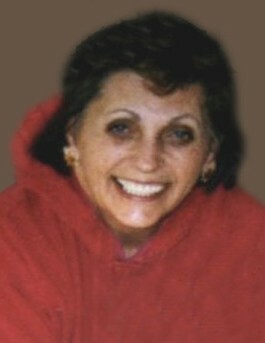 Mrs. O’Briant is survived by her husband of the home; a daughter, Adela Carter and her husband, Ronald, of VA; a son, William Damon O’Briant of Burlington; four grandsons, Troy, Justin, Zachary and Matthew Carter; six great grandchildren; and two sisters, Terry (Gary) Dixon of Burlington and Jeannie Bruno of FL. A memorial service will be held at 2:00 PM Monday, May 13, 2019 at Haw River Seventh-Day Adventist Church by Pastor Dexter Richardson. The family will receive friends following the service at the church. Inurnment will take place at Quantico National Cemetery at a later date. You may sign the online register book at www.lowefuneralhome.com. There's still time to send flowers to the Memorial Service at the Haw River Seventh-Day Adventist Church at 2:00 PM on May 13, 2019.